Everything is better with browned butter. And parmesan. Browned butter can make humble cauliflower and average noodles taste like a million bucks. If you’ve never browned butter, it’s the best five minutes you’ll spend this month. The nutty, aromatic, and rich flavor that butter takes on after it’s been browned is magical. I explained exactly what to do in step four of the recipe section if you’re a newbie. The dish is easy, ready in under 30 minutes, and is a perfect comfort food meal. 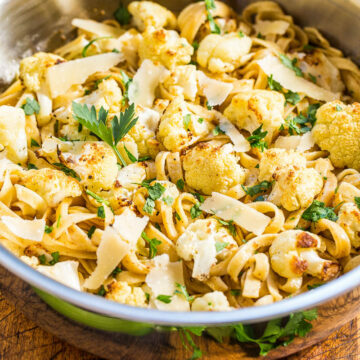 While the cauliflower roasts to bring out its natural flavors, the fettucine is boiling, and butter is browning. You don’t really have to ‘do’ much except watch over things to make sure nothing is charring, bubbling over, or burning. After the cauliflower is out of the oven, the pasta has cooked, and the butter has browned, toss everything together, shave parmesan cheese over the top, garnish with parsley, and dig in. My family said this was the best pasta dish I’ve ever made. Ironically there’s no meat and they don’t like cauliflower. Proving that even people who think they don’t like cauliflower will love it like this. 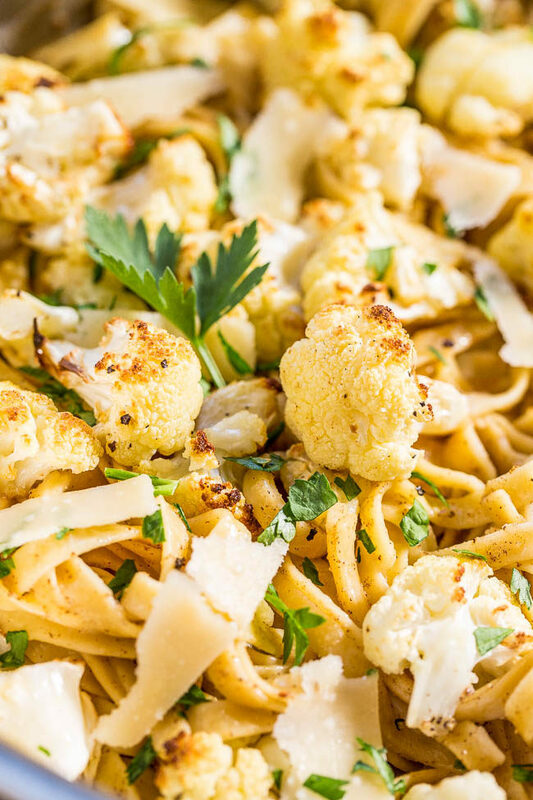 Everything is better with browned butter and it can make humble cauliflower and average noodles taste like a million bucks. The nutty, aromatic, and rich flavor that butter takes on after it’s been browned is magical, see step 4 below. 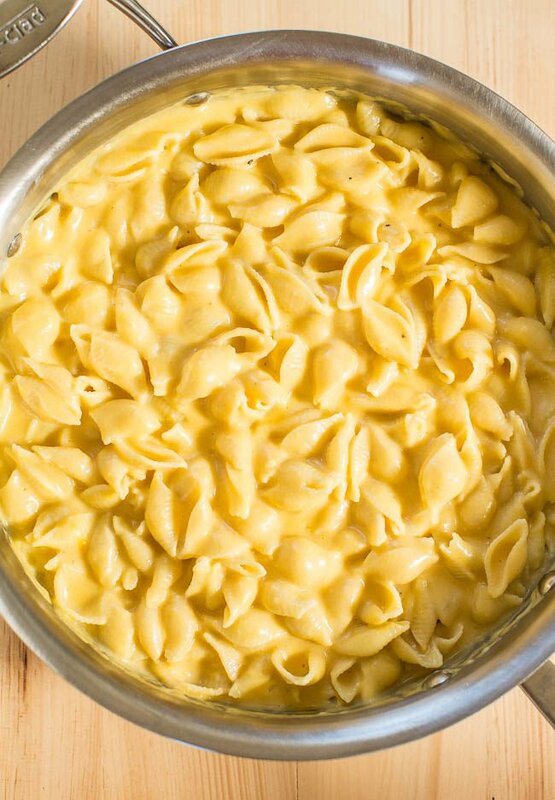 The dish is easy, ready in under 30 minutes, and a perfect comfort food meal. 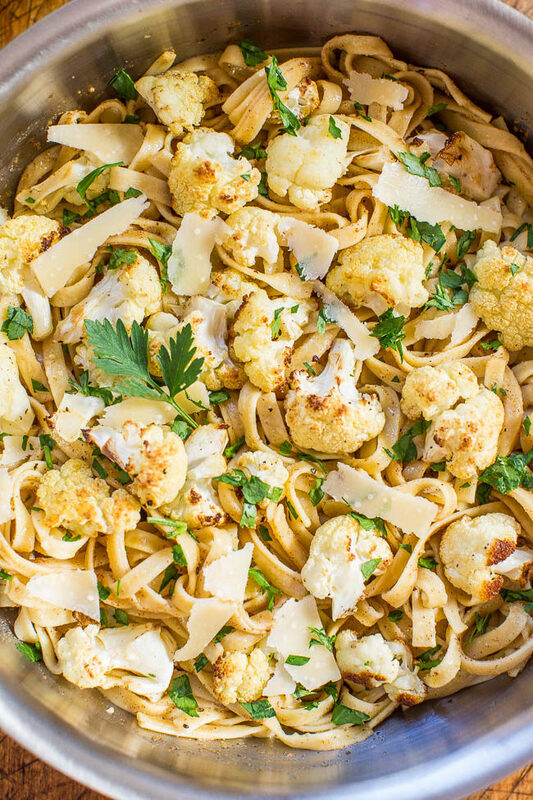 While the cauliflower is roasting, the fettuccine is boiling, and butter is browning. You don’t really have to ‘do’ much except watch over things to make sure nothing is charring, bubbling over, or burning. Toss everything together, shave parmesan cheese over the top, garnish with parsley, and dig in. 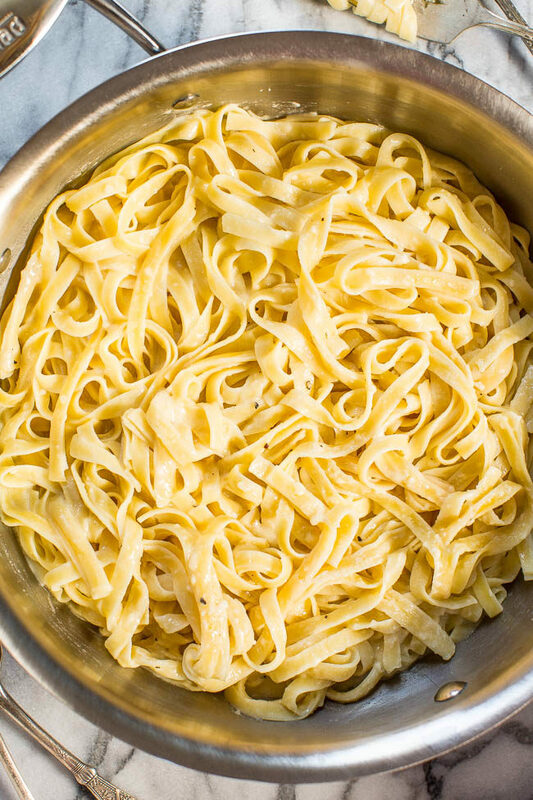 Cook fettuccine according to package directions, drain, and set aside. While fettucine is cooking, start the cauliflower. Preheat oven to the broiler setting and line a baking sheet with aluminum foil for easier cleanup. To the baking sheet, add the cauliflower, evenly drizzle with olive oil, evenly season with salt and pepper to taste, and toss to coat evenly. 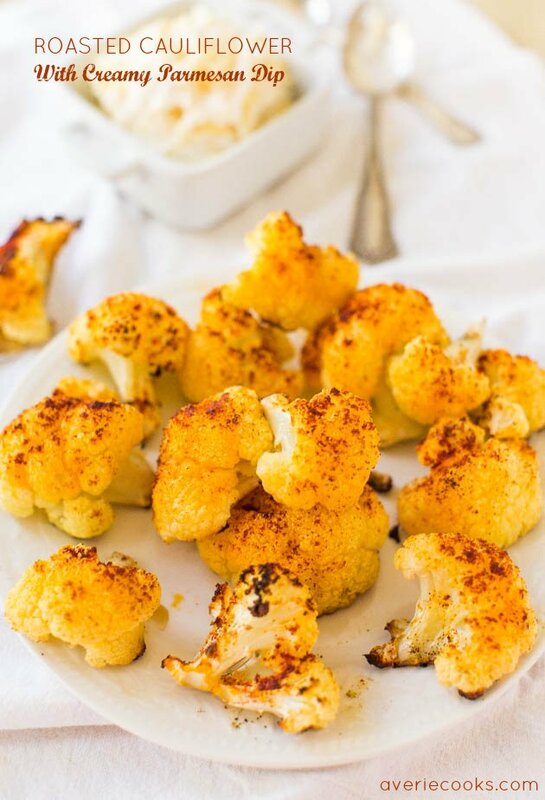 Broil for about 8 to 15 minutes, or until cauliflower is lightly charred and crisp-tender. I broil on the second to the top oven rack because on my top oven rack food tends to simply char; therefore it takes about 15 minutes on the second rack, but broiling time will vary greatly based on the strength of your broiler, which rack you’re using, and preference for doneness. Keep an eye on it and broil as long as desired. While cauliflower is broiling, start browning the butter. To a large skillet, add the butter and heat over medium-high heat to melt. After butter has melted, it will begin to sputter (this is the water releasing), and in about 3 to 5 minutes, you’ll start seeing small brown specks at the bottom of the skillet. At this point, watch butter closely because it can go from dark golden with a few brown specks to the whole thing looking very brown and dark, or burnt. I push the envelope before taking the skillet off the heat and let the butter get as dark as possible before it burns so that I can achieve as much nutty, aromatic, and flavor as possible. It’s only in the last 30 to 60 seconds that I swirl the pan gently and for the rest of the time I leave it alone and just watch. After butter has browned, remove skillet from the heat, and carefully add the dijon mustard, garlic powder, salt, pepper, optional cayenne, and whisk to combine. Note that the butter will bubble up, get foamy, and the mustard will appear to almost separate momentarily. Keep whisking until everything it smooths out; set aside. Evenly shave the parmesan over the top. Evenly garnish with parsley and serve immediately. Dish is best warm and fresh, but will keep airtight in the fridge for up to 4 days. Reheat gently prior to serving. 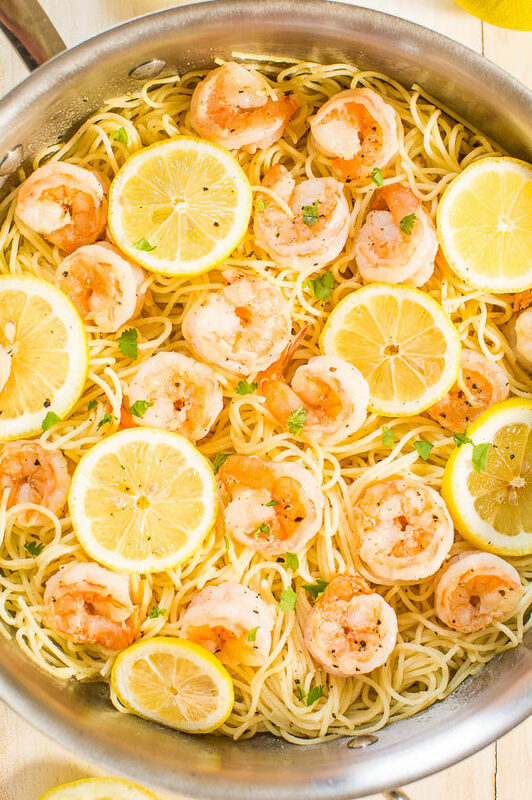 Lemon Butter Garlic Shrimp with Angel Hair Pasta – Easy and ready in 15 minutes! 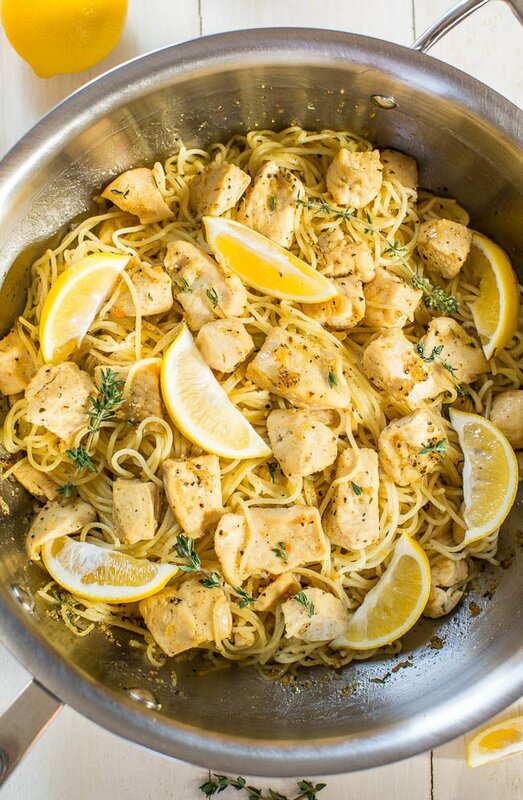 Big lemon flavor, juicy shrimp, and buttery noodles all in one dish everyone will love! A healthy weeknight dinner for those busy nights!! Cauliflower never had it so good!! Browned butter is a teriffic idea. Cauliflower can be one of the less exciting vegetables for a lot of people…..but this recipe looks like it could change a skeptic ‘s mind. Definitely trying this one! Paula I just loooooved this! 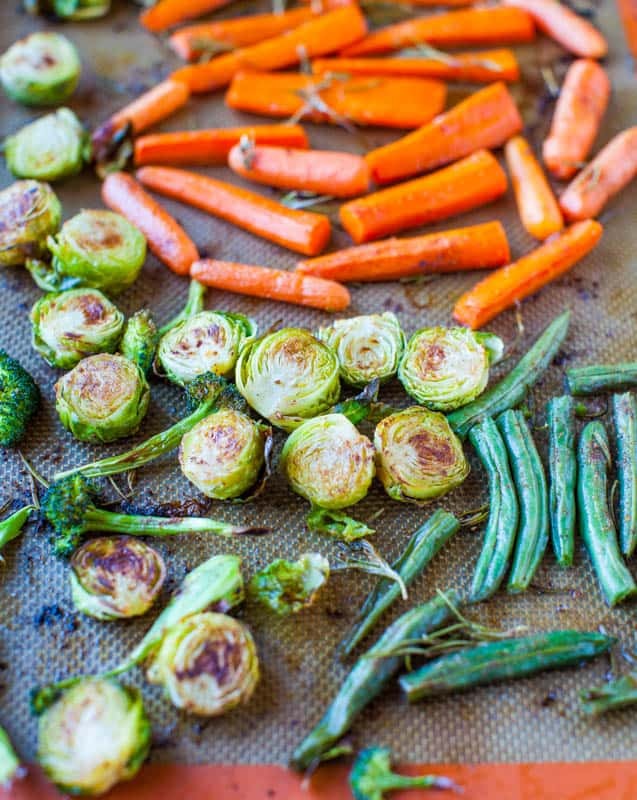 Well anything with roasted veg + browned butter is going to be a keeper for me :) LMK what you and Jon think! We loved this too (and I’ m glad we have leftovers)!! This is a keeper for us as well. I love the browned butter with the mustard and it would make a great sauce for any vegetable. I’d love to try this with broccoli and Brussels sprouts. It would be amazing with broccoli or brussles! I have been on a kick with both of them (I have a brussles sprouts post coming up actually but didn’t use the mustard/browned butter glaze)…but now I want to! So happy you guys loved this as much as we did! I love your pasta dishes…they never disappoint. Cauliflower is a big favorite in our house..definitely going to make this. Please LMK if you try this and what your crew says about it! WHAT, Cauliflower with BROWNED BUTTER?! How did I never think of this. Browned butter is basically my idea of food heaven, and I live off cauliflower. This is INCREDIBLE. Thanks for pinning and yes browned butter makes everything just sooo good! Your posts always make me insanely hungry! This looks phenomenal! 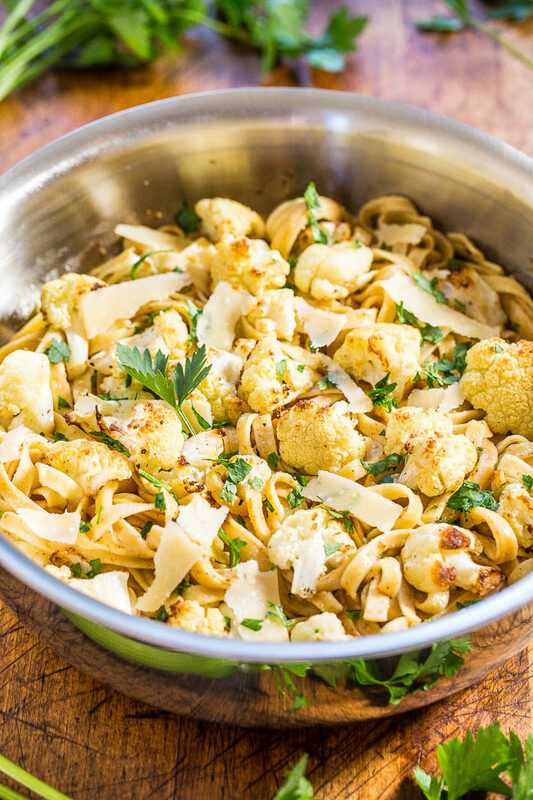 Yes, everything is better with brown butter and parmesan, and I love pasta and I love cauliflower, and this is such a creative, easy and delicious way to use these ingredients! By the way, I really appreciate you interacting with your readers, I have been reading your blog for many,many, MANY years, and its nice to see that while you achieved success you are still down to earth :) some of the bloggers I used to follow don’t bother anymore replying to comments unfortunately, and I don’t comment to just “leave a link” to my blog, I like the content and the interaction! Another Katie recipe!! Is it my birthday or what? Actually, I just went to the store this am to get a head of cauli to make your other recipe – the great green salad or whatever it was with cukes and zucc (I’m using cauli rice instead of quinoa)! Sadly, I already riced the whole damn thing, so this recipe will have to be saved for next week. Bummer. But I was hoping to find a few things I could make ahead of time to bring to the conference with me, and this looks like it would fit the bill. No meat to get nasty and it’s probably good cold or hot. Or luke warm. This cauli was soooooooo good. OMG I didn’t even need the rest of the stuff but doused in browned butter, some dijon mustard, parm cheese (which I know you don’t eat but that salty bite is just amazing with the roasted cauli)…I was in heaven! Browned butter has POWERS, I tell you. I love cauliflower already, so the brown butter treatment would likely only make me love it more. I love the addition of mustard, too. I think that would keep it from being too creamy and “beige” by adding a little bite. Love it. Heyya..rowned butter is a teriffic idea. Cauliflower can be one of the less exciting vegetables for a lot of people…..but this recipe looks like it could change a skeptic ‘s mind. Definitely trying this one!I love cauliflower already, so the brown butter treatment would likely only make me love it more. If you try it, please LMK! Ah browned butter?! And cauliflower!? Yes please. And parm for the win, most definitely. This looks incredible. Pinning for later! Hi Averie, Thanks for this awesome recipe! Cauliflower is one of the veggies my husband likes, so I HAD to try this… and made it today. It’s a BIG HIT in our house!!! It’s my first time cooking with browned butter (yum)– thank you for the super-detailed instructions about this. I tweaked it slightly with what I had on hand and threw in some bacon bits at the end also (another one of my hub’s faves). Thanks again for a delicious, easy, gourmet meal to add to my repertoire! Thanks for trying the recipe and glad it came out great for you and that my detailed instructions were helpful! Great to hear this is going onto your repertoire!